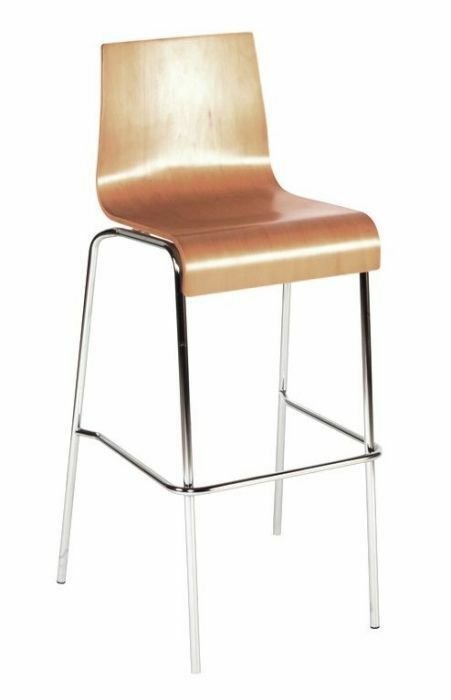 High stools from the Sharona range with a durable Chrome frame and plywood shell in Natural or Wenge finish. Modern design available from stock for a free and fast delivery. 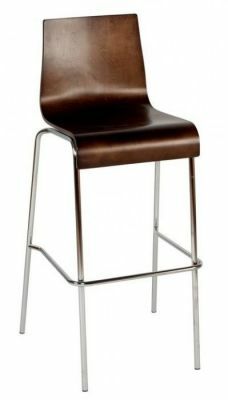 High stool with a foot rest and a sturdy chrome frame. The Natural Beech or Wenge finish plywood seat has been specially molded. Held in stock for a fast delivery.